On June 11th, 2018, I was called by the General Hospital in conjunction with the VA Hospital to see if I could sign onto a drug test. I met Danny, Dr. Pricilla Hsue, Brendan Neilan and Smruti Rahalkar as they went over the forms and what was expected of me during the research project. I originally started this test with a different drug about three years ago.The test fell through when the money for the test project fell through. This new test will also consist of a new way to inject the medication. A new fancy automatic injection one takes in the stomach. Vital Signs: My blood pressure was 130 over 74, my oxygon level was a 9, temperature normal, and the EKG came out normal. Five vials of blood were taken and will be sent to the lab for testing and if approved, I will begin the test phase in a few weeks. Drug Injection: The drug will be administered with a new type of injection, a tube holding the medication is pushed against the stomach and a button is pressed. There is a window on the side of the five inch tube and as the medicine is slowly absorbed into the body, a yellow covering will close over the window, when the window is all yellow, the injection is finished in about 10 to 20 seconds. I didn't feel anything as the medicine went into the stomach and they said one can inject in the stomach, upper thighs or upper outer arms! It will be a blind test and I was told the medication is given with an injection twice a month. They said part of the testing was to see if the medication helped older people fight off age related health problems such as strokes. If I am considered for this research project, I will do numerous types of tests such as a scan of the left and right temples, a PET Scan (A positron emission tomography (PET) scan is a type of imaging test. It uses a radioactive substance called a tracer to look for disease in the body. 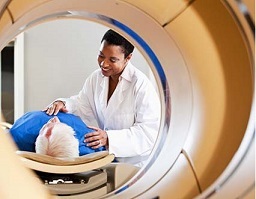 A PET scan shows how organs and tissues are working), testing of blood vessels in the arms and so on. I did ask if anything was found in any of these tests, would my doctor and I be made aware of the results in case they were negative. They said of course. So that is a good reason to do these research projects, not only does it help many people but I can have multiple tests I normally do not get so I am able to ascertain my health conditions in a timely manner. I also will have a Doppler Ultrasound on both upper arms to determine the blood flow and the health of the vascular network. 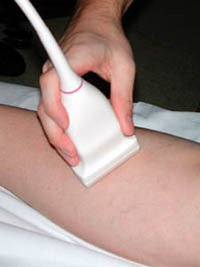 A Doppler ultrasound is a test that uses high frequency sound waves (ultrasound) to measure the amount of blood flow through your arteries and veins, usually those that supply blood to your arms and legs. A Transcranial doppler ultrasound (TCD) is a safe, non-invasive way of investigating the circulation in your head. It measures the speed and direction of blood flow around the base of your brain, and can be a useful diagnostic test if you have a circulation disorder. The San Francisco General Hospital's Neurology Department will do a TCD Scan on Both Temples for the study of blood flow to the brain usint the following methods. A headband is placed on the head with contacts on the temples. This device directs high-frequency sound waves to the arteries being tested. A Blood pressure cuff is placed on the left arm. A gas is breathed in to facilitate the viewing of the vascular blood flow and the level of the blood pressure. I will also have multiple appointments for Neuocognitive Testing including memory, verbal, and various other methods used to determine one's cognitive abillities. 8:00 a.m. appointment at General Hospital for a Blood Draw, 15 vials of blood - 4th Floor. 09:00 a.m. appointment at General Hospital Neurology Department for the first sonar on Both Temples for the study of blood flow to the brain. • A headband is placed on the head with contacts on the temples. This device directs high-frequency sound waves to the arteries being tested. • Blood pressure cuff is placed on the left arm. • A gas is breathed in to facilitate the viewing of the vascular blood flow and the level of the blood pressure. 10:00 a.m. appointment for Neuocognitive Testing including memory, verbal, and various other methods used to determine one's cognitive abillities.